Photo by: So. Portland Police Dept. 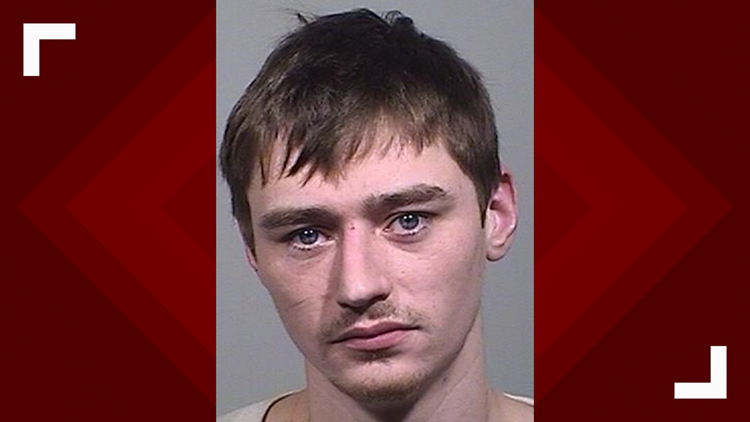 Police say Steven Lynch, 30, sold drugs to the 28-year-old South Portland man who was found dead by his family on March 2, 2019. SOUTH PORTLAND, Maine — A South Portland man who police say supplied drugs that led to a 28-year-old's overdose death is being charged with drug trafficking. Lynch is being charged with aggravated trafficking and possession of fentanyl, both felonies. Maine Drug Enforcement Agency continues to investigate the death. South Portland police say this death was the third suspected overdose in the city this year. A 52-year old male died of an overdose on Jan. 8 in South Portland and a 19-year-old man on Feb. 26 died of an overdose. Police say overdose deaths in South Portland are all too frequent and these three recent cases serve as a "tragic reminder of the stark consequences associated with drug abuse." All three overdose deaths remain under investigation. Lynch is being held at the Cumberland County Jail. His bail was set at $60,000. Police say help is available for those in need and willing to accept it. "If you or someone you care about is dealing with a substance use disorder, do not hesitate to reach out to Dana Baldwin, the police department’s civilian clinical liaison, at 799.5511 ext. 7237." The South Portland Police Department says they will continue to vigorously seek prosecution of anyone found to be drug trafficking in the community. If anyone has information related to drug activity they are asked to call and leave a confidential tip to MDEA’s confidential tip lines (207.347.4100, or 800.452.6457).